To facilitate AstraZeneca’s transition to their new company headquarters in Cambridge, we developed an informative roadshow collateral design that was rolled out for employees impacted by the move. AstraZeneca planned to relocate most of their Research and Development operations from Cheshire to the new Biomedical Campus at its Cambridge headquarters. 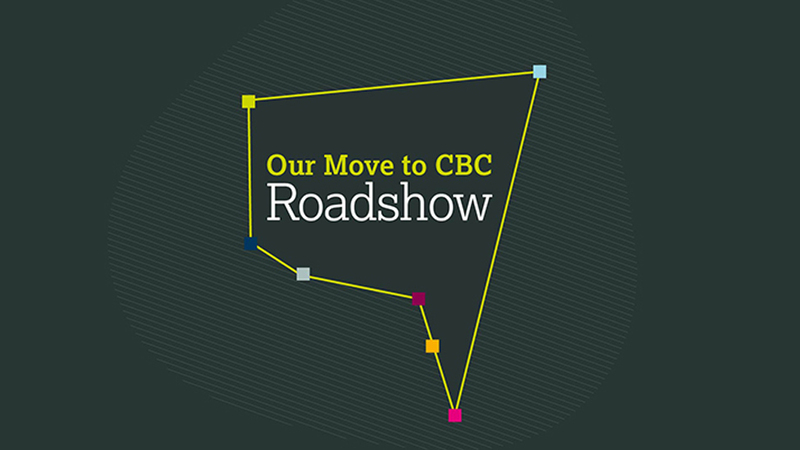 Having worked with Parker Design for many years, they asked us to design a series of roadshow collateral materials to help inform and prepare employees who would be impacted by the move. Office relocations can generate excitement, as it often reflects the growth and success of a company. However, change can also be a source of stress and disruption for employees, especially if their systems, resources and workflow may be impacted by the move. To maintain the momentum in their Research and Development teams, AstraZeneca needed to minimise disruption and assure employees that the transition to the new location would be a positive process. With their new flagship building not due for completion for a few months, scientists and other staff had to operate out of different buildings within the hub. Thus, to maintain productivity and inform employees about where to find teams and how to reach them, we created a roadshow collateral design that made information easy to access. The beautifully designed materials also inspired a sense of unity and community among staff, assuring them of the company’s support and keeping motivation high during the transition. Our team created an identifier, based on the shape of a satellite image of the new location and where teams were located. This graphic looked like a speech bubble and was used across the roadshow collateral, allowing teams to immediately recognise relevant information that pertained to them. The assets provided information on a variety of topics, including routes, means of transport and travel promotions to ease journeys to the new site. They also informed on the new office environment – to generate excitement – status of relocation process and team responsibilities. 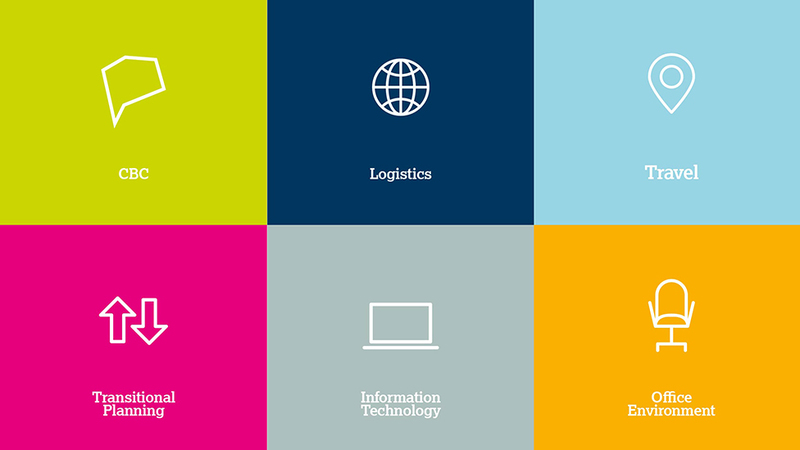 A different colour scheme was applied to each of key focus areas to make it easy for employees to identify what information is being referenced on any particular asset, reinforcing AstraZeneca’s commitment to keeping their staff informed. 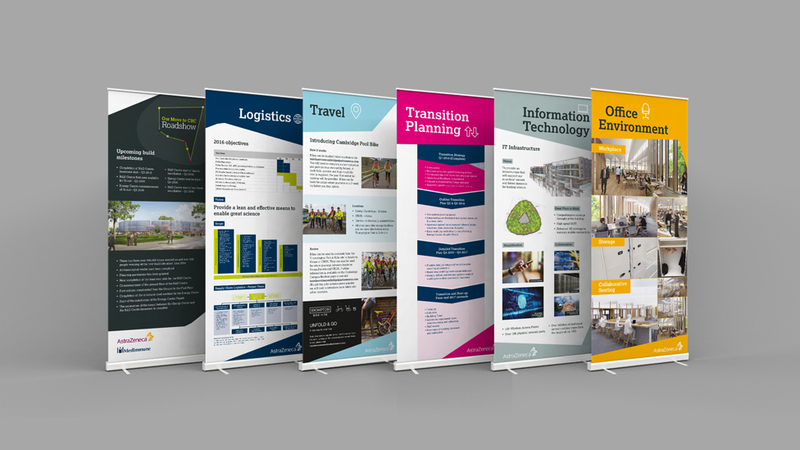 AstraZeneca was extremely pleased with their roadshow materials, which was extended to a variety of collateral including pull-up banners, postcards, leaflets, internal communications, as well as large format collateral.